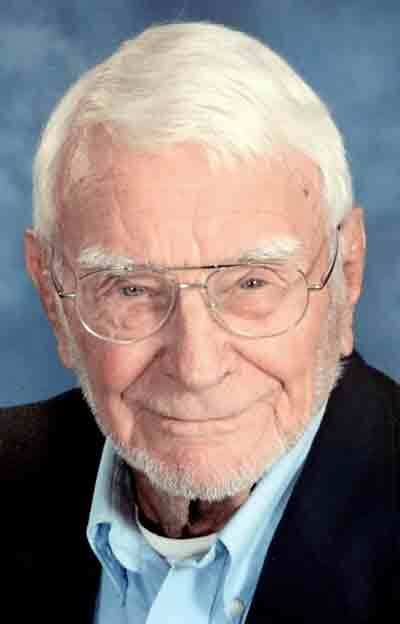 Donovan (Don) Keith Schoonover, 85, formerly of the Marietta area, passed peacefully at his home in Townsend, GA with his family by his side on June 23, 2018. Don was born June 25, 1932 in Farmington, Illinois to the late Albert C. Schoonover and the late Josephine A. Tunis. Don was also preceded in death by his stepmother, Narka Schoonover; a grandchild, Sabrina Ridgway. He is survived by his wife, Betty Vaughn; his children, Debra Schoonover Fleck (Paul), Steve Schoonover (Madonna), and Kristi Schoonover (Dail); also the mother of his children, Yvonne Schoonover; he is also survived by a stepson, Russ Vaughn; one stepdaughter, Karen Vaughn Burns (Bill); his five grandchildren, Ryan and Ashley Fleck, Maria Schoonover (Clint Wagner), Joseph Clark, and Kayla Pride; his four step grandchildren, Will Burns (Kate), Jack Burns (Melody), Sally Burns, and Tripp Vaughn; seven great grandchildren, Stetson Wagner, Novia and Luke Clark, Ethan and Elijah Ridgway, Eva Winland, and Emily Thomas; one step-great grandchild Dottie Burns; one brother, Randy Schoonover. Also a cousin, Peggy Meyer survives. Don grew up on a farm in central Illinois. After graduating from Farmington High School in 1950, he went to work as a machinist for the Caterpillar Tractor Company in Peoria, IL. In 1952, he then joined the U.S. Air Force and was stationed at Keesler AFB in Biloxi, MS. Don served his country with honor until 1955. After his honorable discharge from the Air Force, he attended the Missouri School of Mines in Rolla, MO from 1955-58. He graduated with a B.S. in Mechanical Engineering and later received his Professional Engineering license. After Don’s graduation, he started working at Union Carbide in Paducah, KY as an engineer. From 1962-67, Don had the opportunity to work at Pratt &Whitney in Jupiter, FL where he took great pride in assisting with the design of the engine for the Air Force SR71-Blackbird. In 1967, Don then returned to work with Union Carbide in Marietta, OH as an engineer and retired from there in 1977. After retirement, he received his real estate license and went to work for Walter J. McCarthy. In 1978, he then purchased a farm in Macksburg, OH and became self-employed as a farmer where he enjoyed getting back to working with his hands. In 1997, he sold the farm and returned back to Marietta where he lived for several years before moving to Cape Coral, FL to be near his aging father. He married Betty Vaughn in 1999 and relocated to Townsend, GA in 2002. Don was an active and dedicated member of the communities that he lived in. While living in Marietta, OH he was a founding member of the EMCA and served as its President/Vice-President for many years in the seventies. While living in Macksburg, OH he was a member of the Washington County Farm Bureau. While living in Townsend, GA he served as the Chairman of McIntosh County Tax Assessors, Chairman of the Darien United Methodist Church’s Finance Committee for 5 years, a primary volunteer for the Old Jail Art Center renovation, and a board member of Springfield Plantation HOA. Don was known for his outgoing personality, active lifestyle, caring nature and positive outlook. He made many friends in many circles throughout his life. Some of the organizations he was a member of were the Shriners, Elks, American Legion and the Masonic Lodge. He was also an amateur ham radio operator and a member of the Metter Road Runners camping group. He had a passion for sailing which prompted him to get his Captain’s license in 2000. He also loved fishing, woodworking, restoring old cars, building houses, and repairing just about anything. He also loved his companion, Charlie the dog. The family would like to thank Hospice of the Golden Isles and BrightStar for their exceptional care. A Celebration of Life is being planned in the coming months in Marietta, OH. In lieu of flowers, donations can be made in Don’s memory to Morgan’s Chapel United Methodist Church, 3308 Shellman Bluff Rd NE, Townsend, GA 31331.